NORWALK, Ohio – Shane Molinari did not have the success he had hoped for during the 2016 NHRA J&A Service Pro Mod Drag Racing Series season, only qualifying for two events. 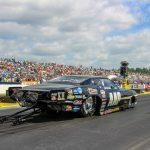 It led Molinari to an ultimatum: either get better or be done racing in the loaded NHRA Pro Mod class. Through the first seven races in 2017, it’s clear Molinari has gone with the first option. He posted his second runner-up last weekend in Bristol in his turbocharger-powered S&T Truck Repair Inc. ’68 Firebird and has qualified the past six races. 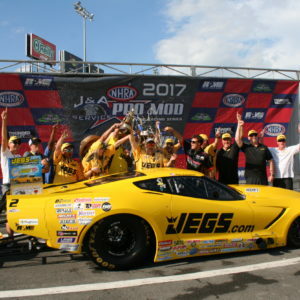 He sits fourth in points with the hopes of capturing his first NHRA J&A Service Pro Mod Drag Racing Series victory as part of this weekend’s Summit Racing Equipment NHRA Nationals at Summit Racing Equipment Motorsports Park. The race, which is presented by the Real Pro Mod Association (RPM), is the eighth of 12 events during the 2017 NHRA J&A Service Pro Mod Drag Racing Series season and will be shown on Fox Sports 1 (FS1) and Fox Sports 2 (FS2). Billy Glidden is the defending race winner. After not qualifying at the opening race in Gainesville, Molinari has been locked in, advancing to final rounds in Houston and Bristol. After a frustrating 2016 campaign, this season has been a completely different story, as Molinari also qualified No. 1 in Bristol in a loaded 30-car field. 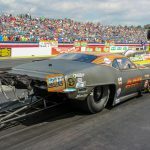 He is quick to note how much crew chief Brad Personett, a former NHRA Pro Mod standout, has helped, bringing a comfort level and consistency to the car that Molinari had never experienced before. It’s been a massive difference-maker for Molinari and the results have been obvious over the past six races. But taking that next step and getting his first victory won’t be easy in a class filled with standouts. Among the 28 cars competing in Norwalk are the likes of points leader Mike Castellana, two-time world champ Troy Coughlin, who beat Molinari in Bristol, 2017 winners Steven Whiteley, Stevie Jackson, Rickie Smith and Steve Matusek, as well as Jonathan Gray, Khalid alBalooshi, Danny Rowe and Sidnei Frigo. But going from being a fan of the NHRA J&A Service Pro Mod Drag Racing Series class to actually competing in it has been a tremendous thrill ride for Molinari. It still gets him excited racing against the top Pro Mod drivers, but he has proven he belongs among the elite and Molinari hopes the best is yet to come, starting this weekend in Norwalk. 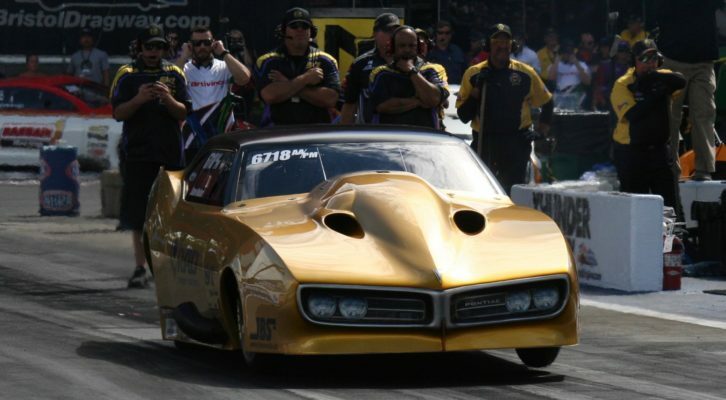 NHRA J&A Service Pro Mod Drag Racing Series qualifying begins Friday, June 23 with qualifying sessions at 4:30 p.m. and 7:00 p.m., continuing with the final qualifying session on Saturday, June 24 at 2:30 p.m. Round one of eliminations takes place on Saturday at 5:00 p.m. and continues on Sunday, June 25 at 12:45 p.m.
To purchase general-admission or reserved seats, call Summit Racing Equipment Motorsports Park at (419) 668-5555. Tickets also are available online at www.summitmotorsportspark.com. Kids 12 and under are free in general admission areas with a paid adult. 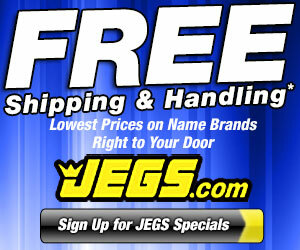 For more information about the NHRA visit www.NHRA.com.